I read about this 5 or 6 weeks ago and was reminded of it again this afternoon with the Reserve Bank decision on interest rates. We have the lowest interest rates in 5,000 years. That’s not a typo. 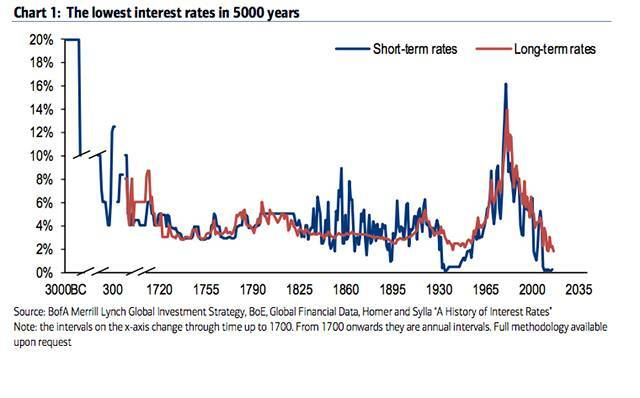 The lowest interest rates in 5000 years.